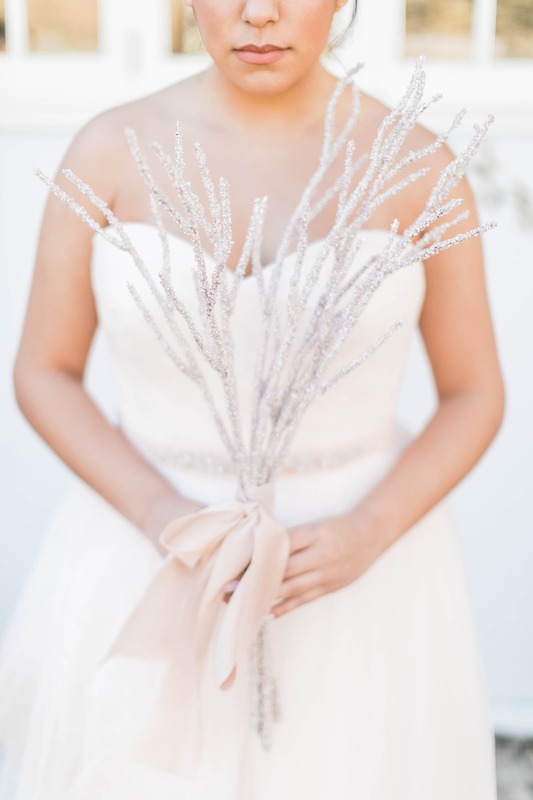 Today's fabulous wedding is sponsored by Gorges Weddings & Fine Events, and we couldn't be more excited to share this beautiful Winter to Spring blush and white inspiration with you! 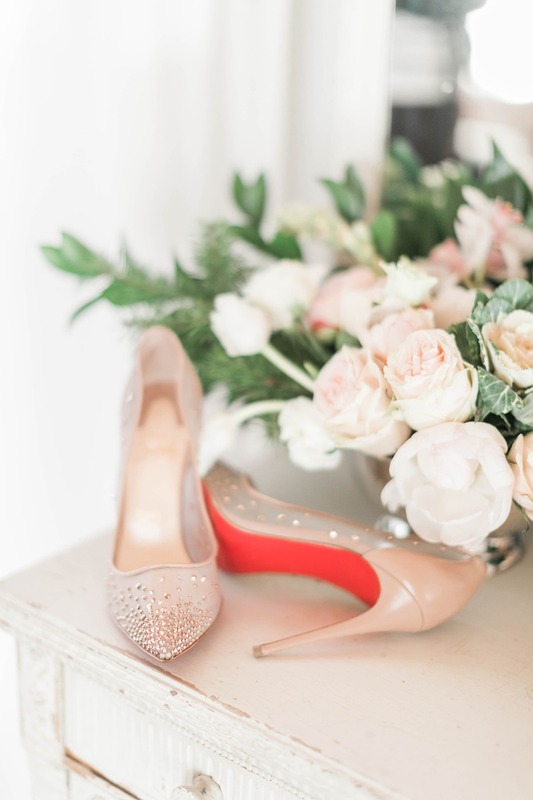 Not only are the details Gorg, but the whole day is so beautifully tied together, But we'll let Gorges Weddings & Fine Events give you the whole scoop. 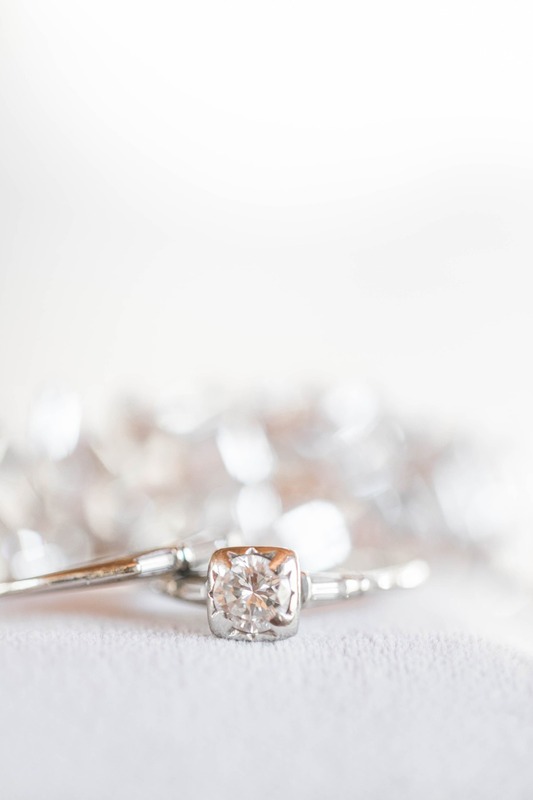 Oh and don't miss the full gallery, it's stocked full of even more glamorous images thanks to Laura Moll Photography. Crisp air meets slanted rays of mirrored sunlight as winter dissolves into early spring. 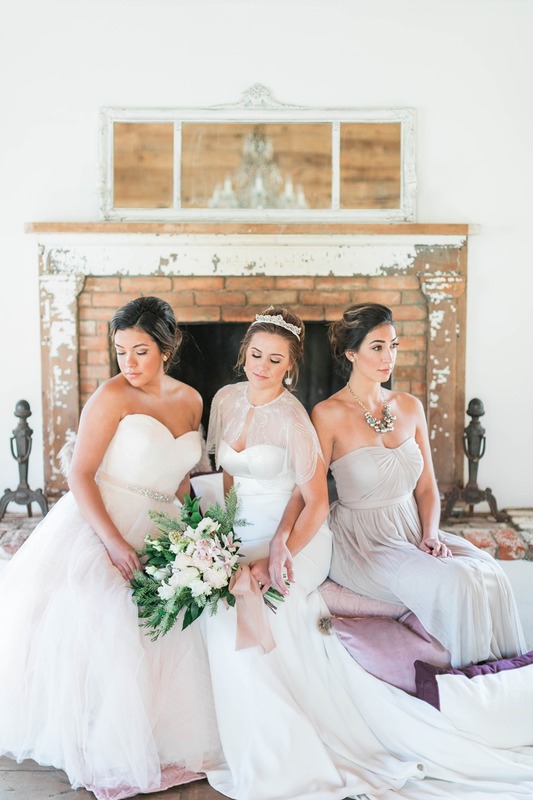 The French-inspired Farmhouse glistens with early morning dew as the vineyards awaken in the background; giving rise to the perfect moment for reflection as Meg prepares for her wedding day with her two closest friends, surrounded by love and light… Our inspiration for this styled shoot began with a remarkable antique engagement ring that belonged to my grandmother – crisp and bright, simple and fine, this symbol gave us a starting point that quickly evolved into a grand vision, filled with the colors of early spring. On loan from my family collection, the set seemed to sparkle with a promise: the promise that spring and warmth are coming, light is always around the corner, and every day can be the most beautiful day we’ve lived yet. 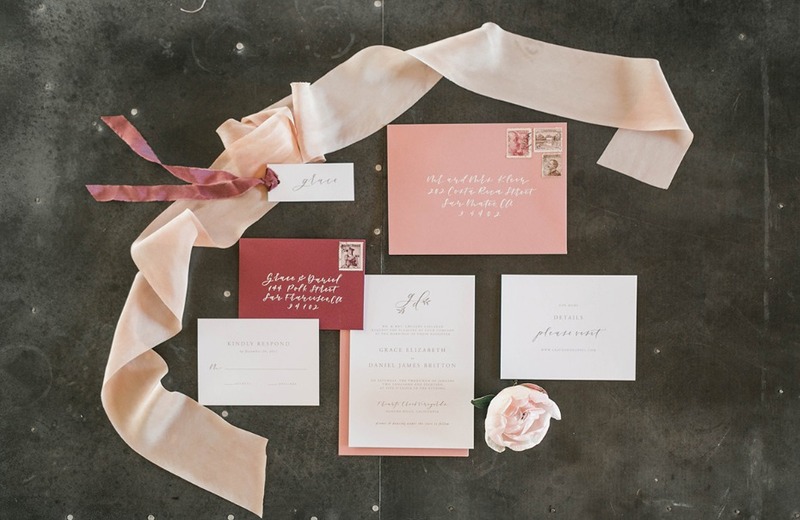 We honed in on feminine tones of mink, blush, and mauve, and textures of velvet and cashmere to keep things soft. 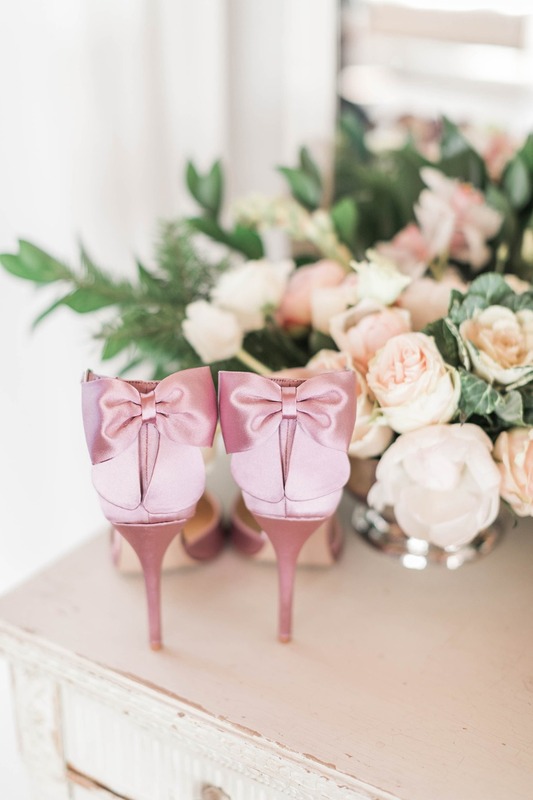 Laura Moll (of Laura Moll Photography) signed on to capture our vision in stunning natural light - she was most recently featured in People Magazine and has an outstanding eye for capturing the detailed elements we all want to see when designing a wedding. 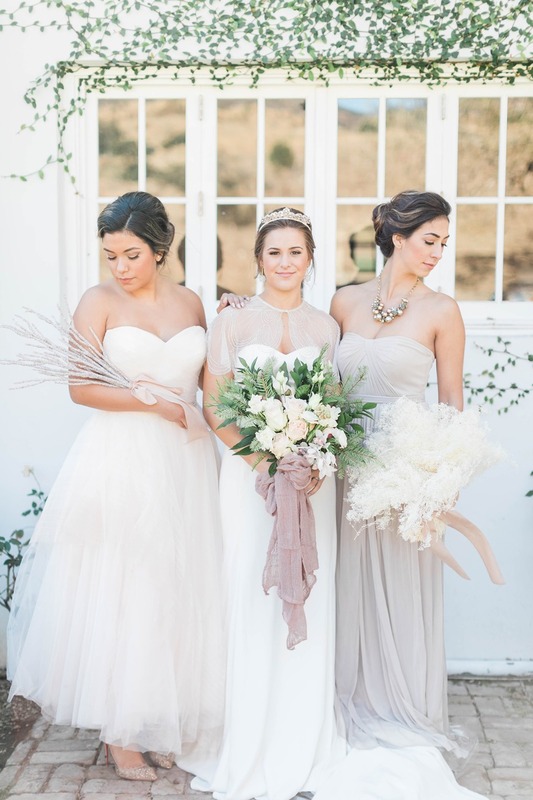 Our models glowed in classic windswept beauty looks from Bliss Bridal Beauty and designer gowns that echoed with simple luxury (from Monique Lhuillier Bliss Collection and J. Crew). 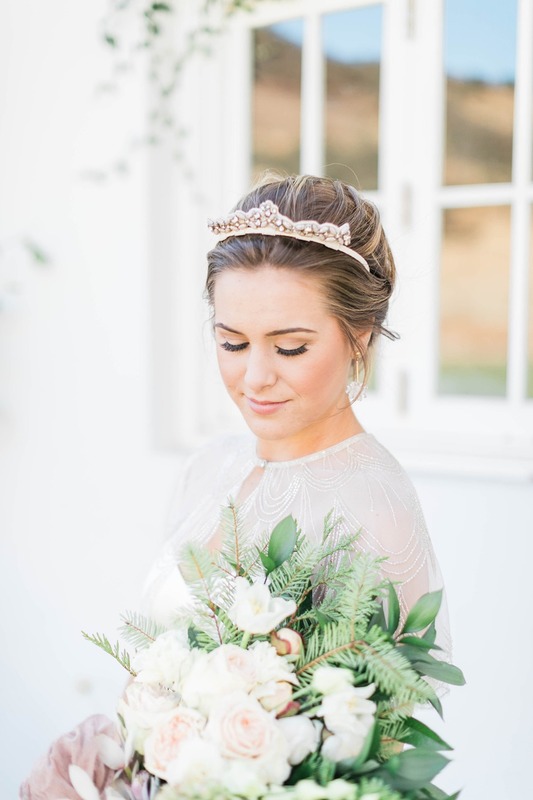 With bridal florals from Farmgirl Flowers and arranged by Cait taking center stage in many of the portraits, the focus was soft and inward facing: the bride’s beauty, and her journey on her wedding morning. 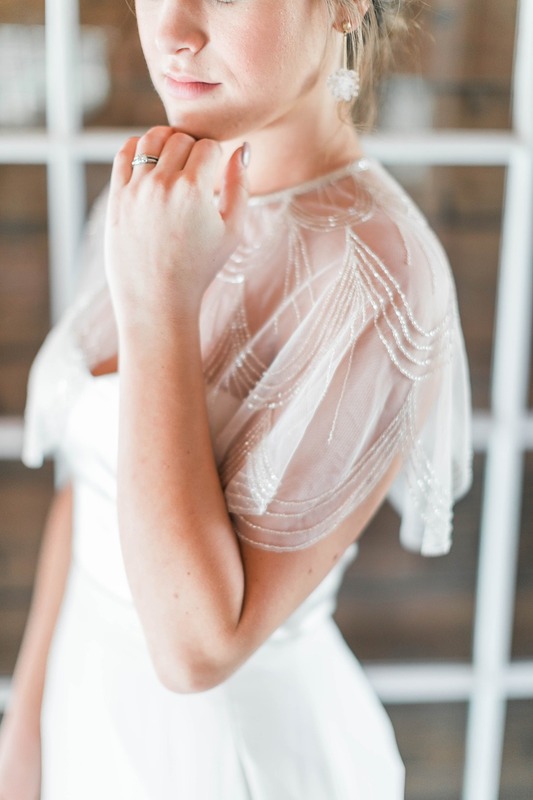 Dried botanical bundles for each of her maidens lent themselves perfectly to the over-the-top contrast provided by their ensembles, and the glittering capelet donned by the bride over the simplest of gowns was our showstopper piece (both from BHLDN). 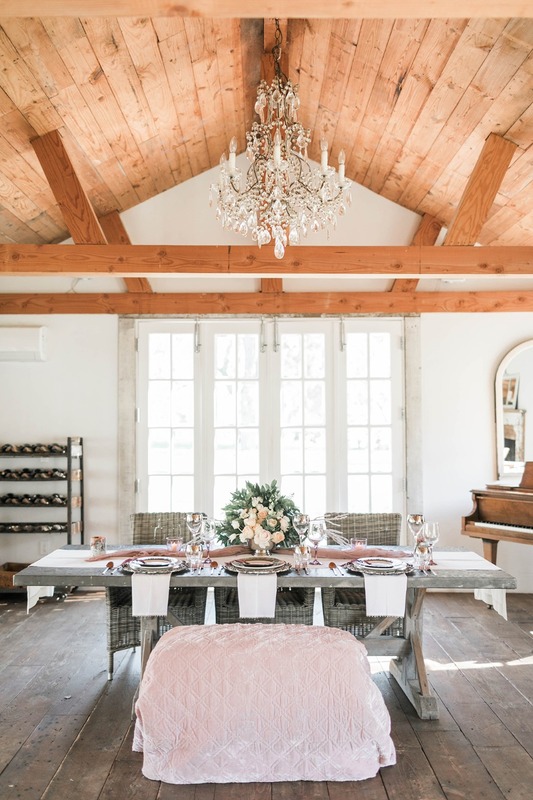 Triunfo Creek is dear to my heart (I, too, was married there), and the property lends itself perfectly to the peaceful solitude and warm companionship we wanted to be captured in our inspiration images – so we knew it was exactly the place we needed to shoot. 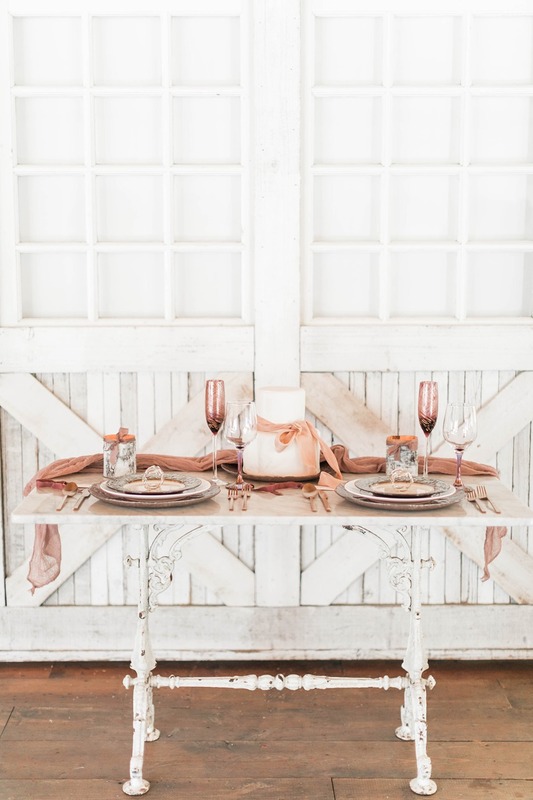 We set up in the French farmhouse, the outside covered in vines and character; the inside rustic and charming and bursting with perfect photo opportunities. 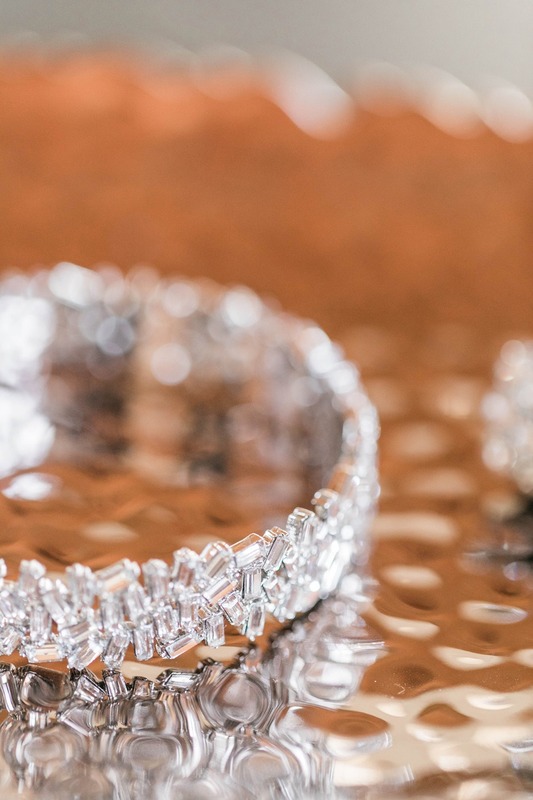 Throughout the inspiration images, you’ll find the pattern of simple luxury on repeat. 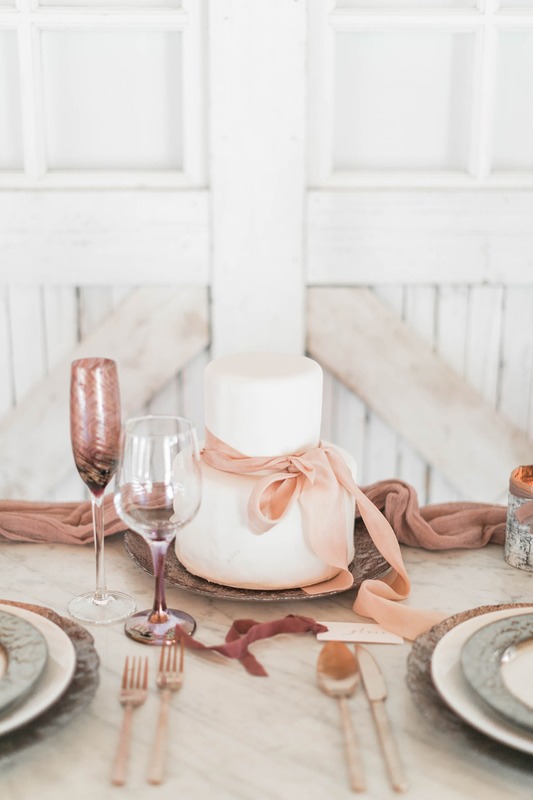 With a touch of feminine simplicity, the simplest cake from Jill’s Cake Creations is made stunning by a length of blush silk ribbon from Silk and willow (who also made the bouquet wrap you see in many of the images). 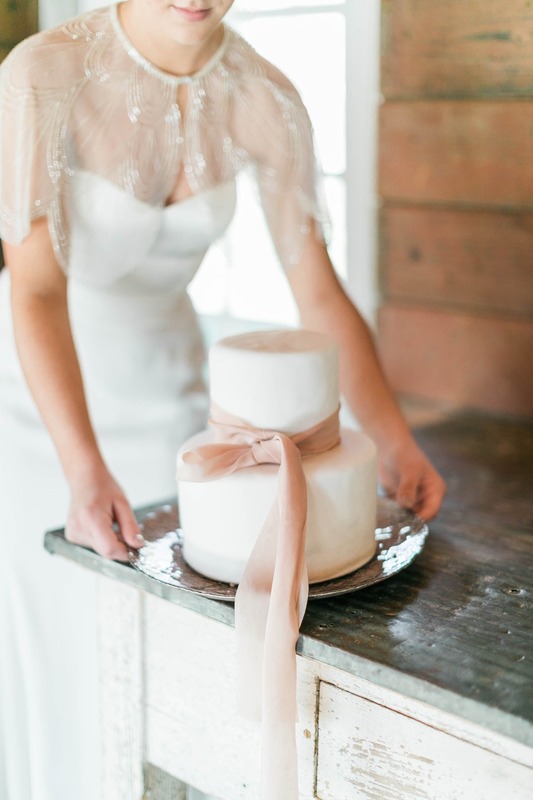 The cake is my absolute favorite shot from the entire editorial. 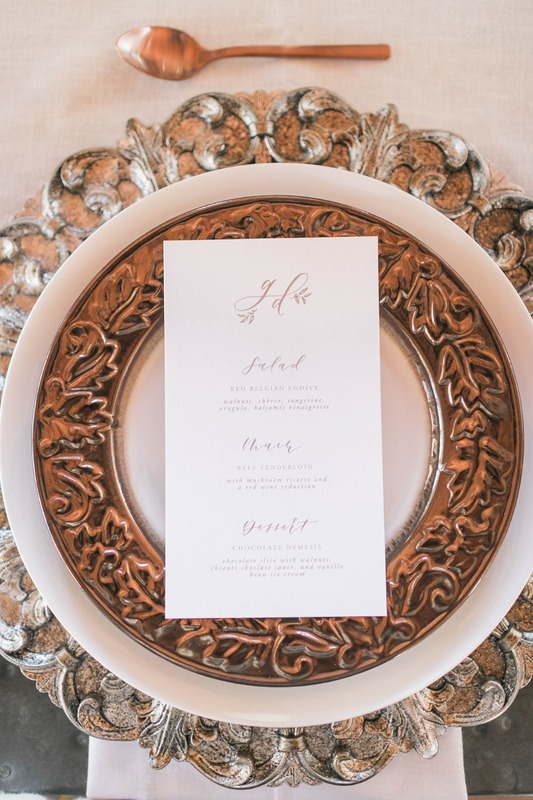 Our custom calligraphed invitation suite, menus, and place cards from Brown Fox Calligraphy echo this theme: simple, classic, restrained, and endlessly beautiful. 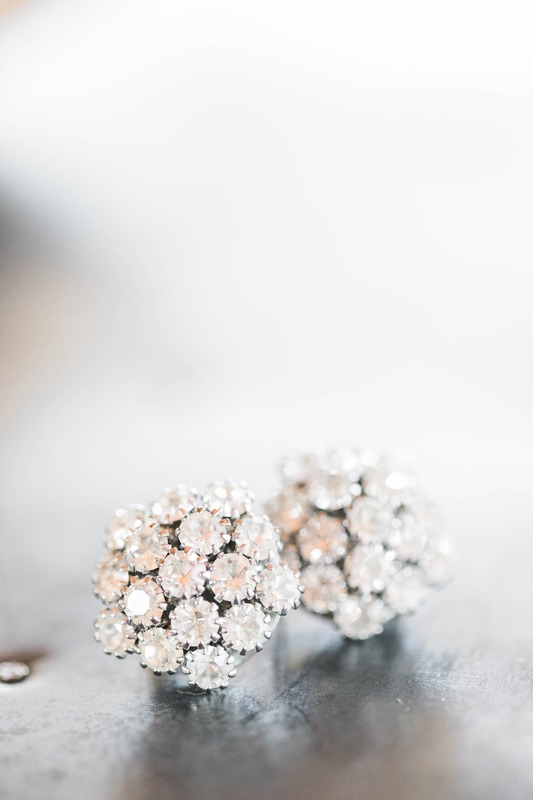 Vintage stamps in tonal shades harken back to our engagement ring set, and we’re left with a timeless feeling of total beauty and warmth. 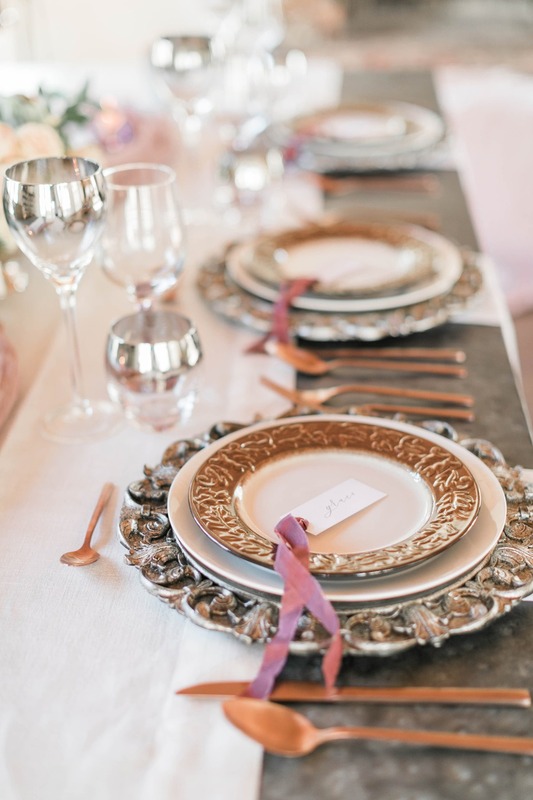 There’s a guest table set up with custom curated china and glassware from the Gorges Weddings collection, and a marble sweetheart table made warm by glowing birch wood votives and rose gold accents. 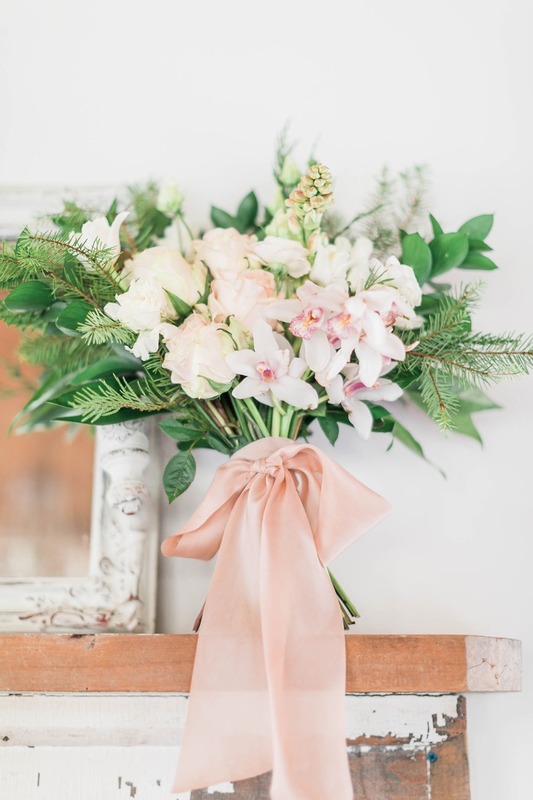 Peonies and lush garden roses are intermixed with evergreen springs, leaving complex floral notes lingering throughout the farmhouse, and a feeling of early spring on the mind. 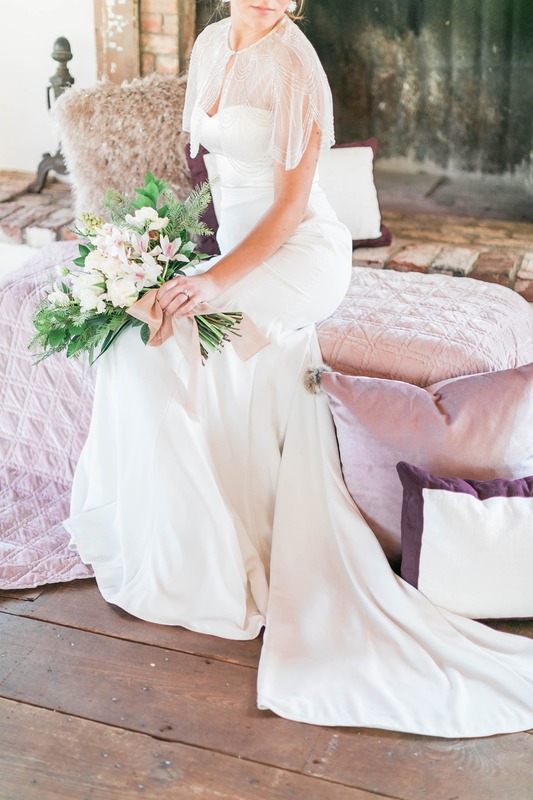 In our hearth-centered lounge, the luxury of velvet and textural throws provide contrast to the bride’s gown and simple tiara. 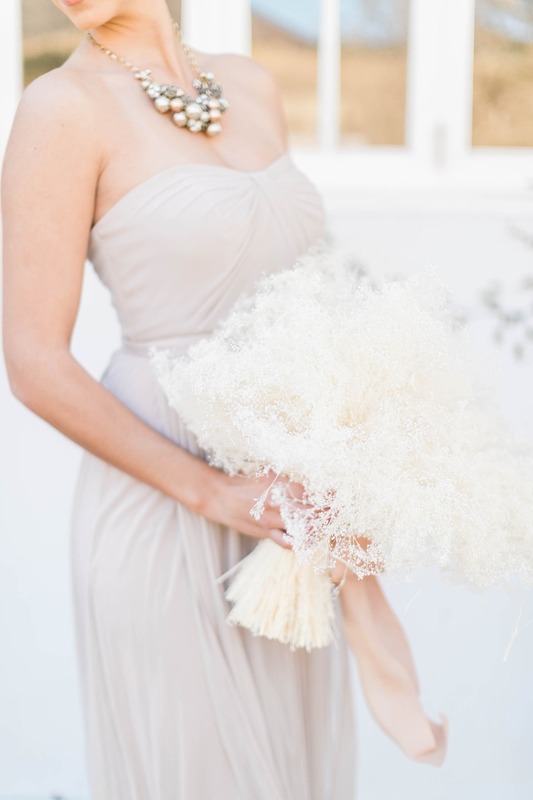 We imagined her cloaked in beauty and grace and radiating quiet gratitude as she fully immerses herself in her few remaining moments before the ceremony. 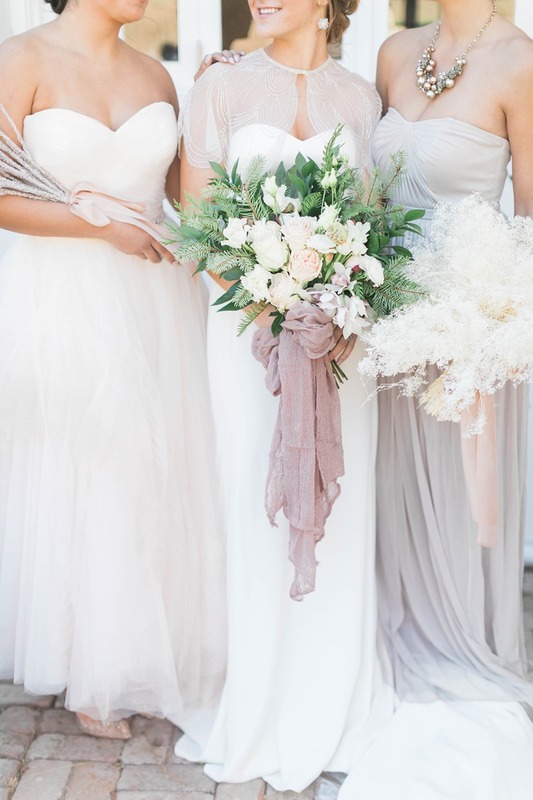 That time is so very personal and important to every bride, and we really wanted to pay homage to the mindfulness that can be woven into this magical day. 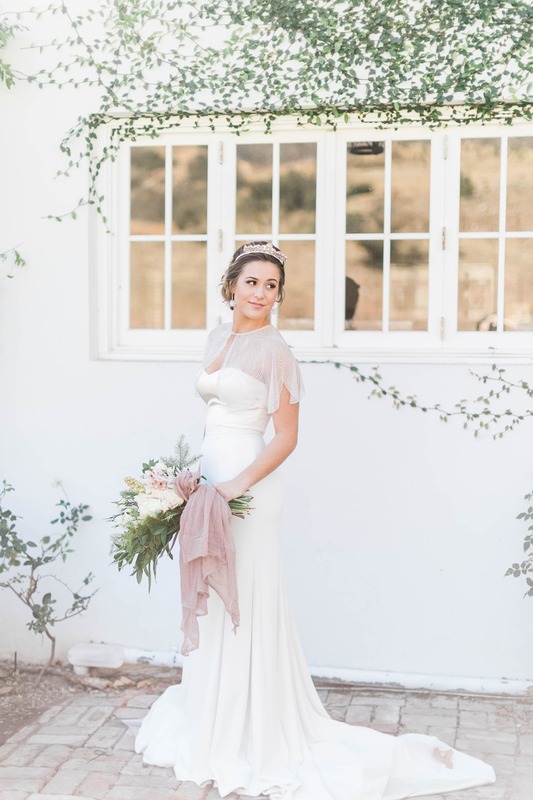 The rustic beauty of the farmhouse and the vineyards coming back to life in the background are perfect at that moment – and the bride is fully at peace.